This light every day conditioner will instantly detangle and condition your hair without weighing it down. The result is tangle free, manageable hair that styles without fear of frizz. 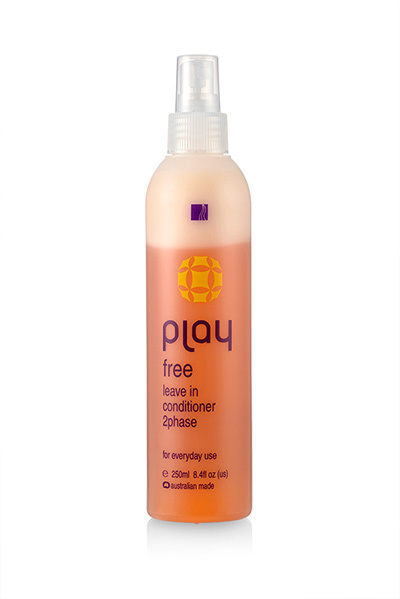 This leave in conditioner detangles, nourishes and strengthens your hair while the UV light absorber helps to protect the hair from UV rays and heated styling appliances. 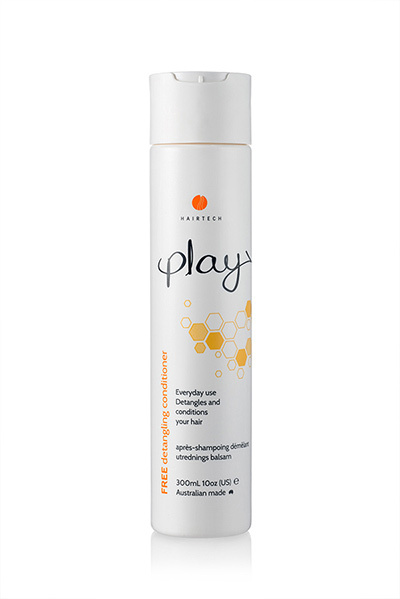 Spray evenly throughout damp hair. 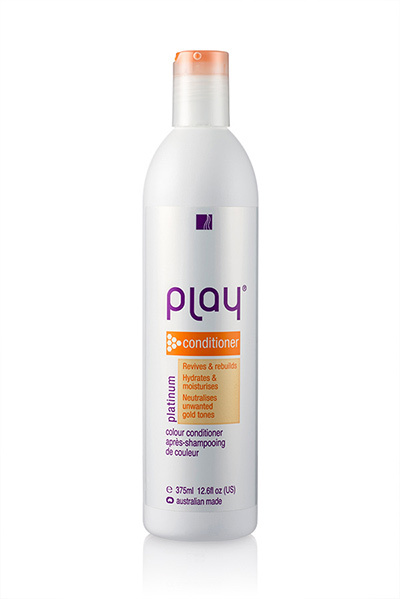 Play Platinum Conditioner revives and rebuilds blonde and grey hair. It hydrates and moisturizes while neutralizes unwanted gold tones using violet and blue colour pigments. The perfect conditioner for blonde and grey hair leaving it smooth, shiny and manageable. Treat your hair - Instantly! 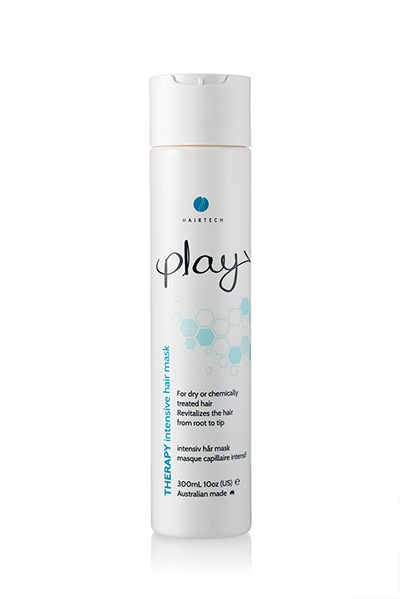 Play Now is an instant leave in treatment that will strengthen hair, lock in colour, add brilliant shine and protect the cuticle from heat damage. Simply activate the treatment and apply to clean towel dried hair, style and you are ready to go out and Play!